Athletic sensation Jamaica's Usain Bolt could compete in the 2010 Commonwealth Games in New Delhi, India. doubles champion has not completely ruled out competing at next year's Commonwealth Games, but says this will depend on Coach Glen Mills. The 23-year-old has expressed an interest in running in next year's Games as he missed the 2006 Games in Melbourne, Australia because of injury. 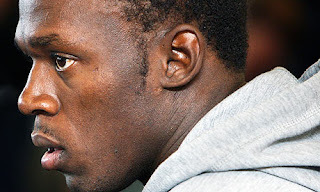 on the calendar, Bolt pledged to take things easy in terms of breaking world record so as to stay fresh to defend his World Athletic and Olympic titles in 2011 and 2012, respectively.